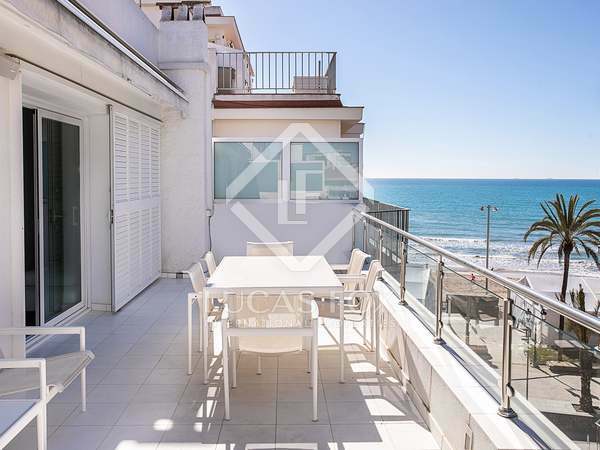 Stunning, fully renovated 108 m² ground floor apartment with a 68 m² garden for sale in an unbeatable location on the seafront promenade of Sant Sebastian beach in Sitges, with direct sea views. 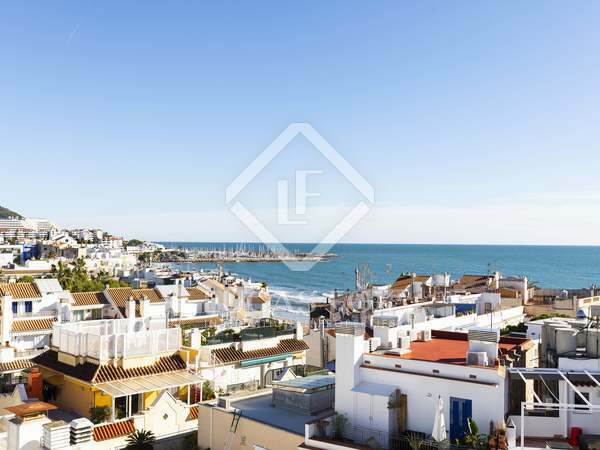 Stunning 3-bedroom apartment with a communal rooftop pool for sale by the beach in Sitges. 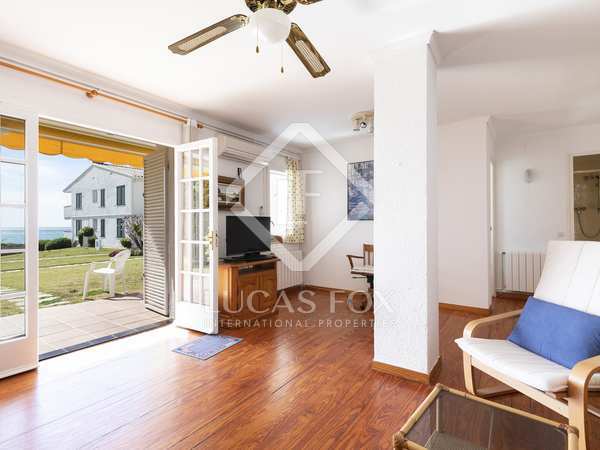 Beautiful ground floor apartment with a huge terrace for sale one street back from the beach in Sitges. 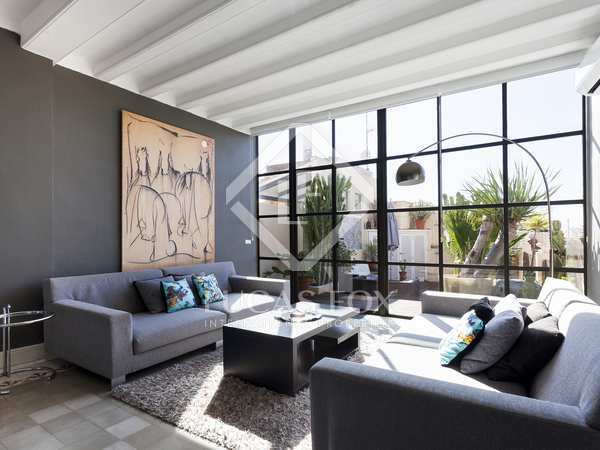 Beautifully finished apartment in newly built block second line from the beach in Sitges centre. 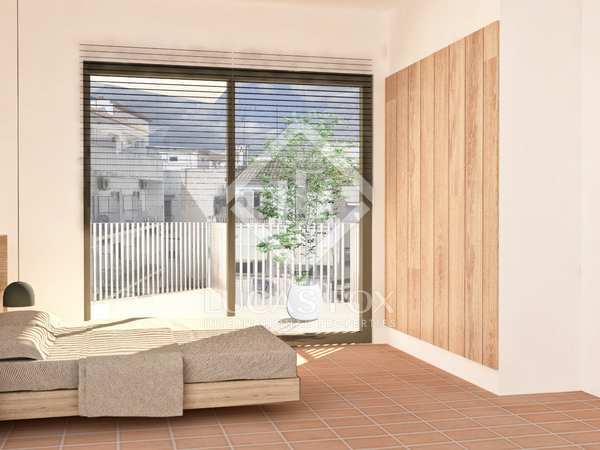 Newly renovated first floor apartment with 2 bedrooms for sale in the centre of Sitges Town. 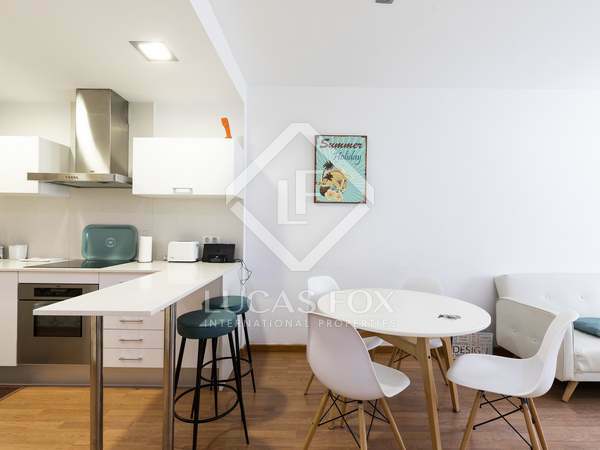 Bright apartment sold fully furnished and with a tourist licence, close to the beach in Sitges. 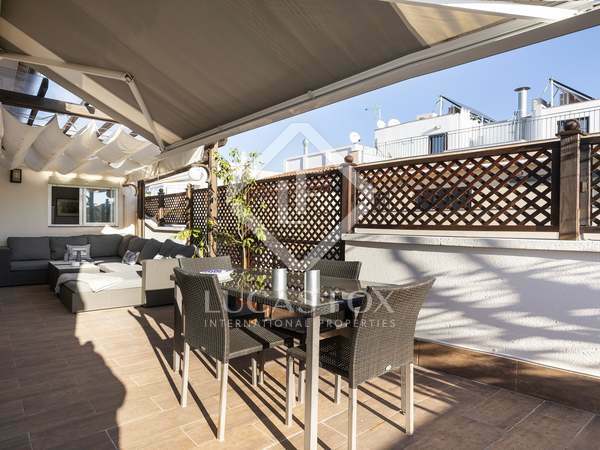 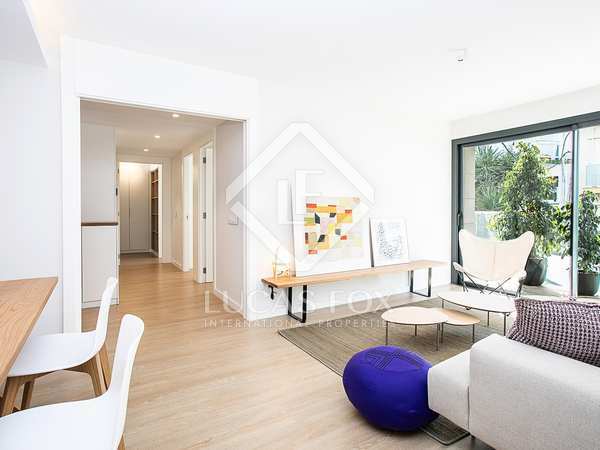 Fabulous duplex apartment with terrace located in a quiet area just across the road from the beach. 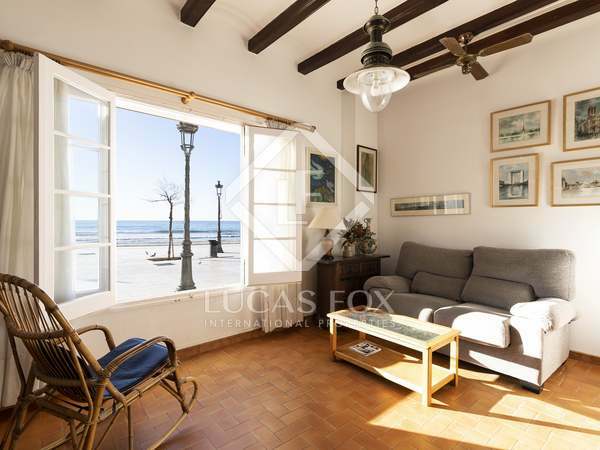 Spacious 4-bedroom apartment for sale in an iconic building in Sitges town centre. 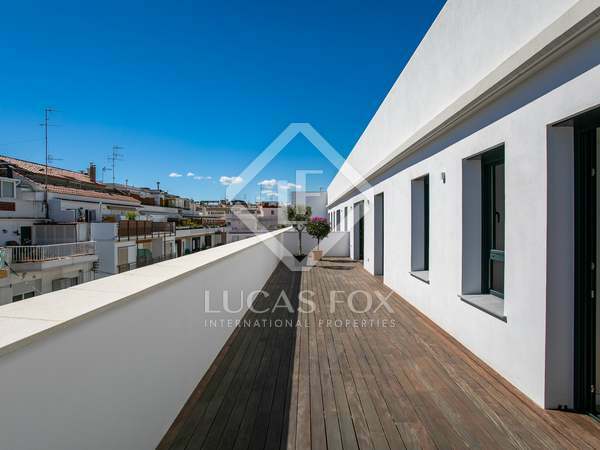 Impeccably renovated second floor property with 3 bedrooms, high quality finishes and an enviable central location in Sitges Town, just a couple of minutes on foot from the beach. 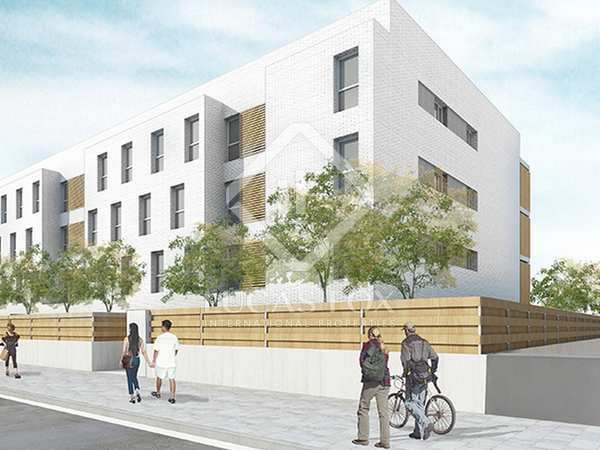 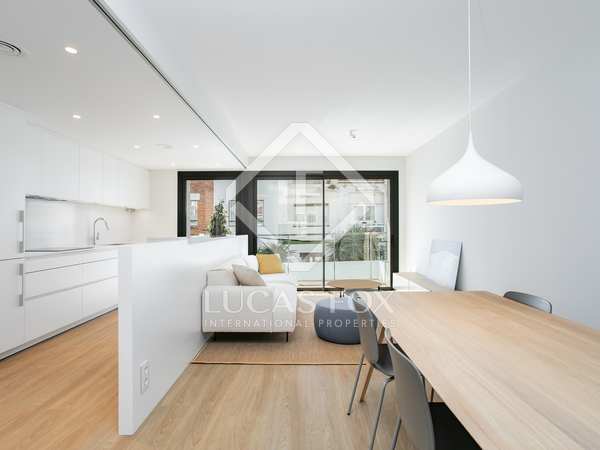 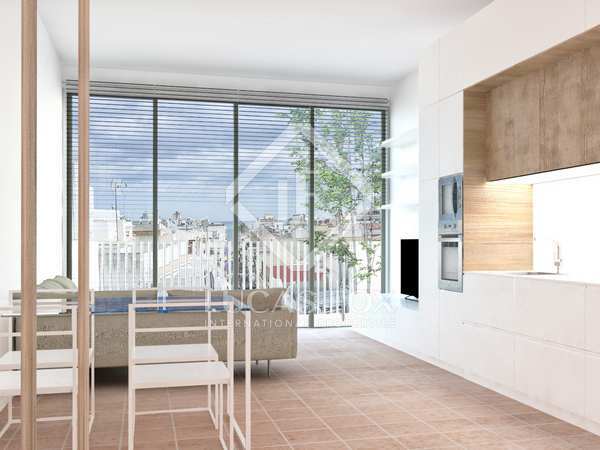 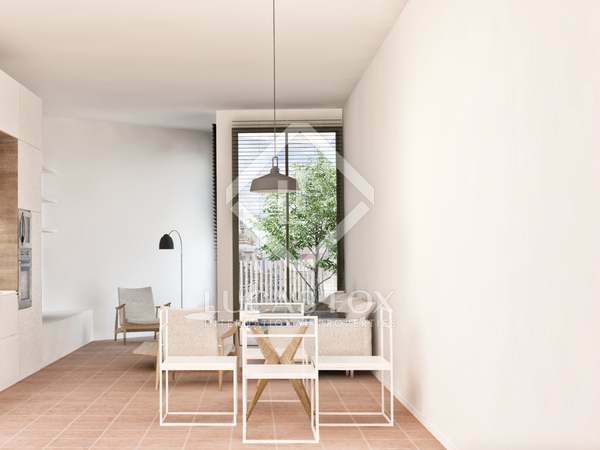 Modern new build 3-bedroom apartment for sale in Sitges, just minutes from the historic town centre and the beach. 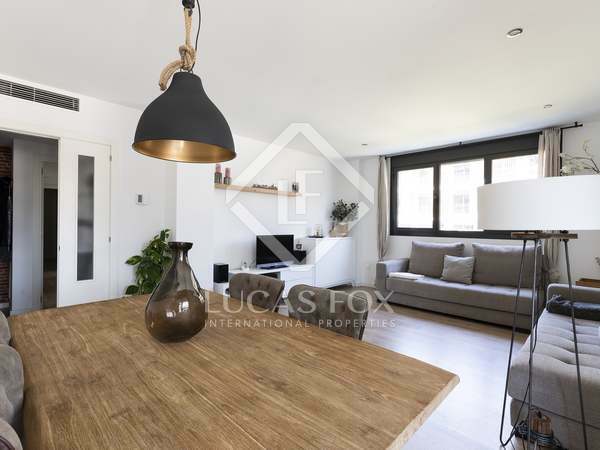 Newly renovated third floor apartment with high quality finishes and an enviable central location in Sitges Town, just a couple of minutes on foot from the beach. 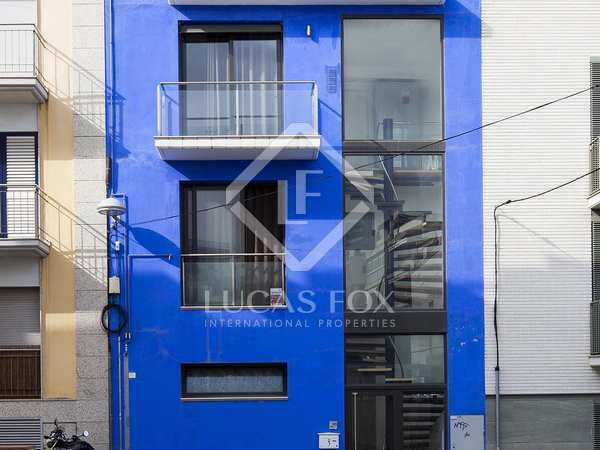 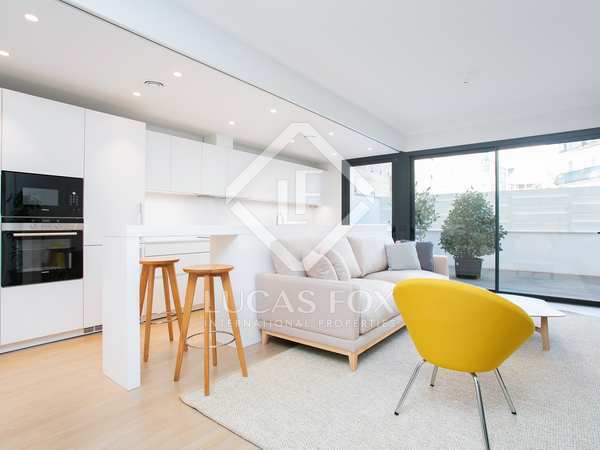 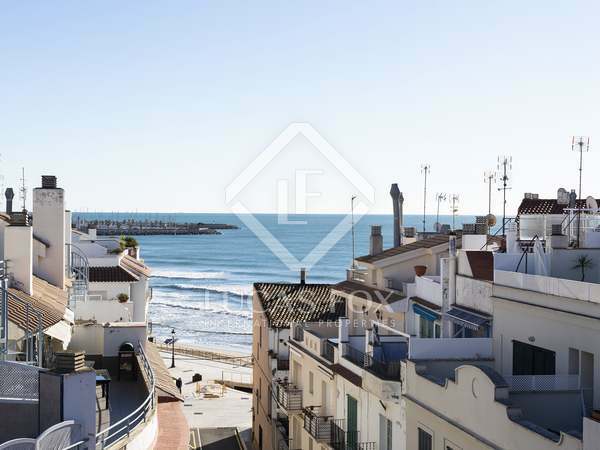 Beautifully renovated second floor property with high quality finishes and an enviable central location in Sitges Town, just a couple of minutes on foot from the beach. 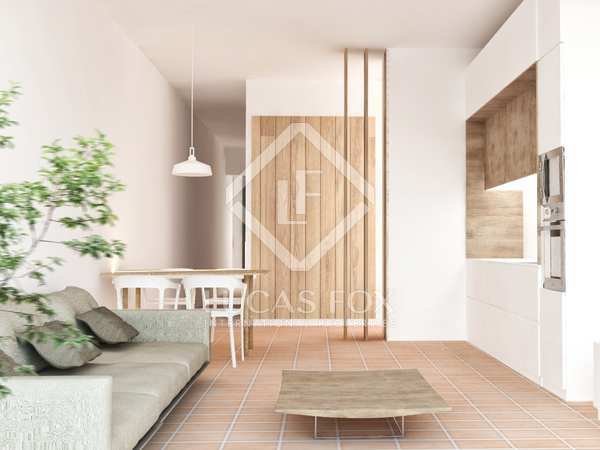 Modern 3-bedroom apartment for sale in Sitges, just minutes from the historic town centre and the beach. 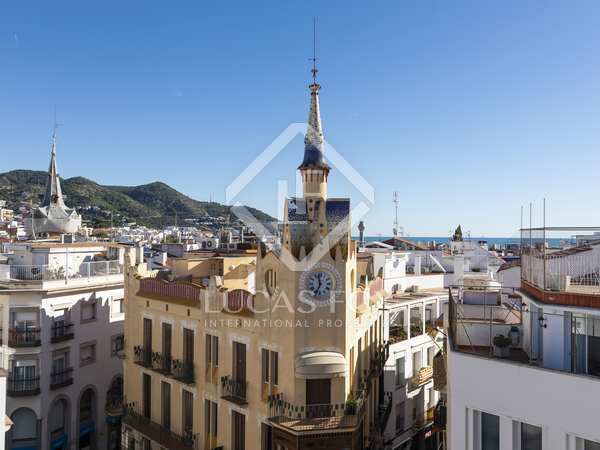 Impeccably renovated third floor property with high quality finishes and a coveted central location in Sitges Town, just a couple of minutes on foot from the beach. 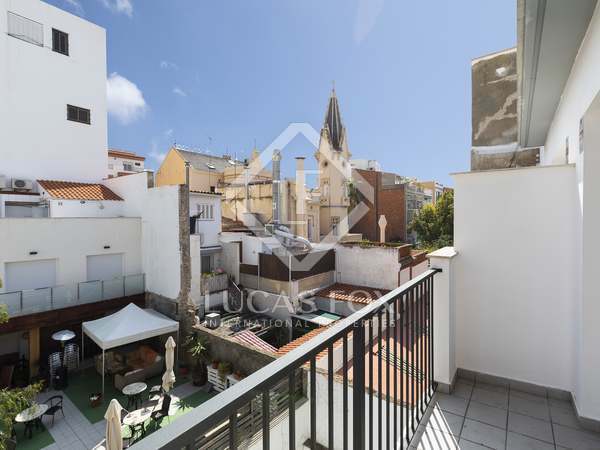 Excellent ground floor apartment for sale in Aiguadolc with a private terrace, parking space, storage room, tourist licence, communal garden and pool. 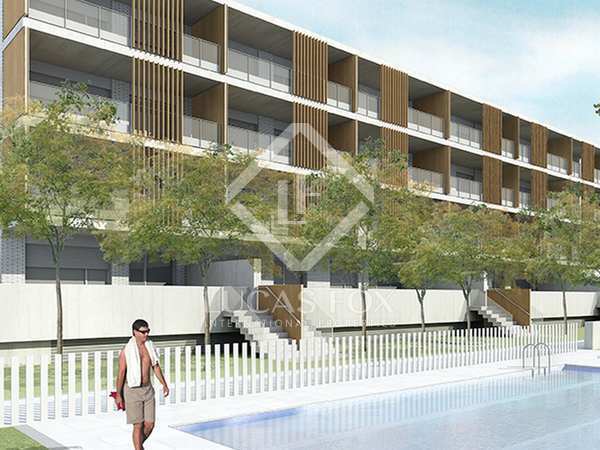 Beautiful, new 2-bedroom apartment under construction with available parking for sale in Aiguadolç, 5 minutes' walk from the beach.